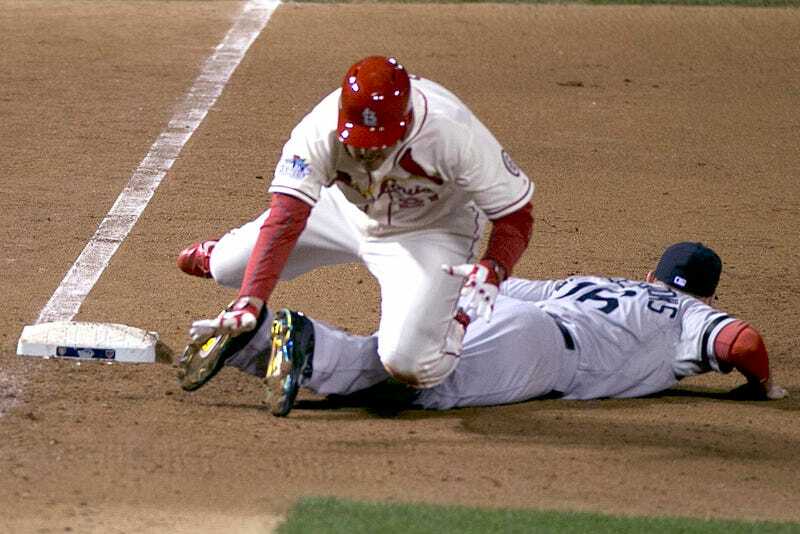 With the Red Sox Game 3 of the World Series decided by a bizarre obstruction call, Onion Sports takes a look at some of the strangest endings in the history of athletics. 1972 Immaculate Reception: To this day, many specifics of Terry Bradshaw’s winning touchdown pass to Franco Harris remain in question, such as: (1) Whom did the ball touch in the downfield collision? (2) Who exactly is John “Frenchy” Fuqua? (3) Why was referee Pat Harder at the game in the first place, if not to provide a convenient alibi distancing him from the events that night at the Coleman estate? (4) How does the Black Scorpion play into the whole affair? 2003 NLCS: A fan catches a foul ball and the Chicago Cubs go on to lose the game. Deal with it. 2010 World Cup, U.S. vs. Algeria: Landon Donovan or Clint Dempsey or Alexi Lalas or one of those guys scores a last-second goal to win the game for the U.S.